It is doubtful that many people reading this could recall a time when John Glover was not involved in Northern Ireland’s athletics scene. He has been there since the tender age of fifteen, and his name has become synonymous with the sport! Not only because of his outstanding achievements as an athlete, but also due to the years of service that he has tirelessly given. 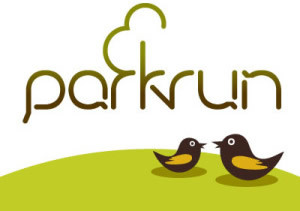 If you have run an Athletics Northern Ireland (ANI) ratified road race, it has likely been measured by John (the NI representative for the Association of UK Course Measurers). If you have competed at the track, whether that be the NI Championships or a wet and windy open graded meeting, chances are that you will have heard his knowledge and dry humour being imparted over the PA system. Countless athletes have benefited from his guidance, he is the Founder and President of Lagan Valley AC, a club renowned for nurturing young people and made famous through the years by such names as Judith Robinson, Vicki Jamison and Katie Kirk (all Commonwealth Games competitors). The club has been kept welcoming and family friendly, knowing that enjoyment is vital. John also is a firm believer that club athletics should be competitive and advises acceptance of the fact that drop out rates will be huge where young athletes are concerned, for a variety of reasons. John is also the NI Secretary for the world famous British Milers Club (BMC), has received the NI Coach of the Year Award and is one of the few individuals from Northern Ireland to have been presented with the Torch Trophy Award. John is a former President of Athletics Northern Ireland, current Vice President and Life Member. One of his most memorable moments was receiving the Frank Horwill Award for Services to the BMC, made all the more momentous due to the fact that it was presented by Frank himself! Looking back through the archives opens up a whole new dimension. Who else could claim to have competed against Steve Ovett, Sebastian Coe, John Aki Bua and Ralph Mann? John T. Glover has! His main interest, just like his father, has always been on the track. Interestingly, with current participation levels in running as a leisure activity booming, John reckons that competitive athletics was much more enjoyable in the 60s, 70s and 80s. Interclub leagues encouraged competitive participation in a variety of events, for points. Moderate success could bring an athlete the opportunity for international competition eg Bell’s Junior International, NIAAA v BLE (the forerunner of Athletics Ireland), Home Countries Internationals and even the World Cross Country Championships. Today, international competition is so much more the reserve of the elite, many of whom have very little affiliation to local athletics. John showed his potential in 1964 when he won his first title on a grass track at Cherryvale; the NI Youths 800m, a distance he would excel at. He followed this up with the NI Youths Cross Country title in 1965. 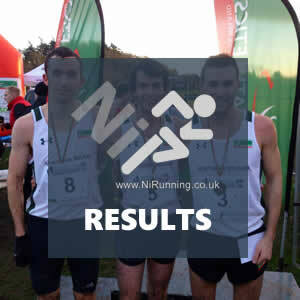 He won NI Senior Cross Country team titles with Duncairn Nomads. Truly an athlete of outstanding dexterity, John won a NI Senior title over the 440 yards hurdles plus two Home Country Internationals. He was NI Senior gold medallist an amazing four times over 800m; 1970, 1974, 1975 and 1978! Three of these titles came in Commonwealth Games years, but sadly John was not selected. In fact, his non-selection in 1970 remains his greatest disappointment within the sport. Despite describing his strategy as, “Surviving nine events and then getting his own back in the 1500m,” John won a Senior NI title in the decathlon. And when competing in the British Colleges Decathlon (Edinburgh 1975), he ran the 1500m in 4:06 which was a British Record for the 1500m within a decathlon! John also was the British Colleges 800m champion in 1975. In 2007, he finally won the NI 3000m title, aged 60! He won British Veteran titles over 800m and 400mH, 800m silver in the Scottish Championships (behind Frank Clement) and was the Irish Universities 800m champion. John also was a medallist in race walking. John racked up a staggering set of PBs over every distance 100m to the marathon, with field events thrown in for good measure! 100m-11.7, 200m-23.3, 400m-50.1 (49.4 relay leg), 800m-1:50.4, 1500m-3:55, 5000m-16:48 (at a schools match on a 300m cinder track), 10000m-35:57.5 (cinders at Shaw’s Bridge), 110mH-17.6, 400mH-54.0, 3000mSC-9:52.0, Marathon-2:52.25 (Dublin), Long Jump-6.34, High Jump-1.73, Shot Putt-10.16, Javelin-40.68, Pole Vault-2:45 and Decathlon-5352 points! Sport runs in the family. John’s wife Liz was the Irish Schools High Jump champion and NI Senior Long Jump gold medallist. And she works away behind the scenes today, a qualified photo finish expert! Their son, Jamie was a schools international over the 400m and their daughter is well known in athletics circles as a multiple medal winner in the Hammer. Their middle son, whilst not sticking at athletics, competed in the British Biathlon Championships. As if that isn’t enough, John also is an accomplished sports photographer and can provide great action shots of many Northern Irish athletes from his collection. However, he appears to be very short of any photographs featuring himself! We are indeed privileged to be able to see this man competing and at work in our sport. John T. Glover, truly a legend among us. 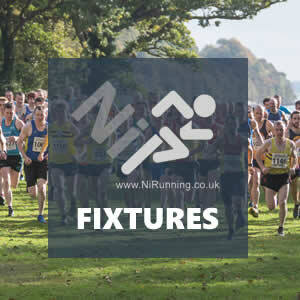 Weekend Preview: A busy weekend of road, track, cross country and trail running ahead!